Recent condo in a very secure community, 7 minutes of nice walk to the beach. Our condo is on the first floor (No stairs except to go on the roof terrace). 1 double bed in the living room with privacy. 2 full bathrooms with shower. Large open kitchen, dining room and living room. Roof terrace with exterior shower , pool and full access to the yard. Washer and dryer for clothes. It is a second home, So the majority of our exchanges are non-simultaneous. 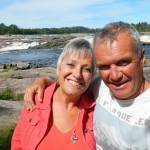 Young retired Canadian couple from Montreal Canada, we speak French and English. I was VP operation for a large Store chain in Québec. 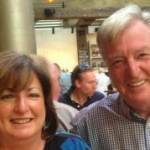 My wife was a Psycho-educator and family therapist. We had over 10 exchanges so far and all of them have been wonderful experience. We are very respectfull of the home of our exchange partners and take great care of it. We are open to all offers, it could be one , two weeks exchange or longer term as well. 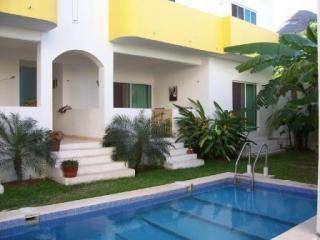 Very nice condominium on the most quiet street of Puerto Aventuras, 45 minutes by car from Cancun Airport. Small complex of 8 condos (2 building facing each other of 4 units each) A very nice gated community with security guard 24/24. On the golf course (hole #3), 7min walk to the beach. 2 min walk to tennis court. 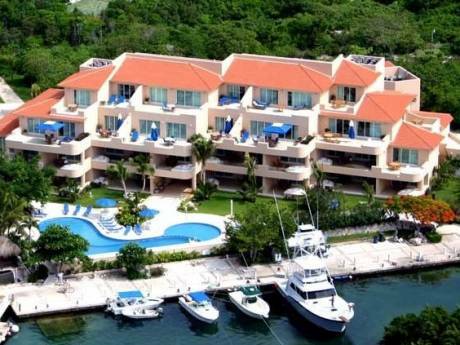 5 min walk from Puerto Aventuras center for restaurant, café (internet), marina (deep sea fishing), swim with the dolphins. 15 min. walk to Supermarket - 5 min. by car. 15 min car ride to Playa Del carmen, for restaurants, shopping and nightlife. Close to secluded beach fantastic for Snorkeling and scuba diving.